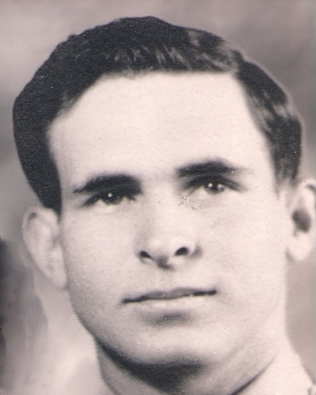 Eldes Dee Tidwell, “Ed”, 92, of Norman, Oklahoma, passed away Thursday, September 6, 2018 at his home. Ed was born on January 14, 1926 in Amherst, TX to Charles Wesley and Vera Tidwell. Ed served in the U.S. Army during World War II as part of the 546th Bomb Squadron 384th and was honorably discharged at the age of 19 on December 24, 1945. Ed married the love of his life, Gloria, on August 21, 1947 in Pittsburgh, TX and she preceded him in death in 2012. Ed was a devoted follower of God and a member of Trinity Baptist Church. Ed enjoyed playing golf during his younger days and was an OU sports fan. Ed was preceded in death by his wife, Gloria; parents; and three brothers: Charles, Donald and Clarence Tidwell. He was survived by his brother, Arthur Tidwell and wife, Livia of Denton, TX; nephews: Wesley Tidwell and Derek Tidwell; nieces, Laurel Faciane and husband, Scott, Alecia Tidwell, and Laura Beavers and husband, Chris. Ed’s arrangements have been placed in the care of Havenbrook Funeral Home. Memorial Services will be Monday, September 10, 2018 at 10:00 am at Havenbrook Funeral Home, 3401 Havenbrook St., Norman. Ed will be laid to rest next to his wife, Gloria on Tuesday, September 11, 2018 at 11:00 am at Rose Hill Cemetery in Pittsburgh, TX.